Type tests - Tests of seller's samples. Type tests Analysis of production conditions. Tests of seller's samples. Analysis of production conditions. Type tests - Tests of manufacturer’s samples. Type tests Analysis of production conditions. Tests of manufacturer’s samples. Analysis of production conditions. Type tests - Tests of seller's samples. Tests of manufacturer’s samples. Type tests Analysis of production conditions. Tests of seller's samples. Tests of manufacturer’s samples. Analysis of production conditions. Declaration review to identify correspondence with attached documents. GOST R certification of quality system Control of certified quality system. Declaration review to identify correspondence with attached documents. - Tests of seller's and (or) manufacturer's samples. Declaration review to identify correspondence with attached documents. Analysis of production conditions. Tests of seller's and (or) manufacturer's samples. Analysis of production conditions. [*] Tests of manufactured products based on the assessment of one or several typical representative samples. [**] Necessity and volume of the tests, as well as the place of sampling is determined by the GOST R certification authority based on inspection results of the certified quality system (production conditions). Notes. 1. Schemes 1 - 8 are approved in the foreign and international classification ISO. Schemes 1а, 2а, 3а and 4а are complementary modifications of schemes 1, 2, 3 and 4, respectively. Schemes 9 - 10а are used based on the supplier's accordance declaration, which is recognized in the EU as a proof of product correspondence to the established requirements. Inspection control according to the Table above is applicable after the GOST certificate has been issued. Scheme 1 - for limited and earlier agreed volume of products, which is supposed to be delivered (distributed) for a short time in separate batches (for imported products - under short-term contracts; for domestic products - limited manufacturing output). 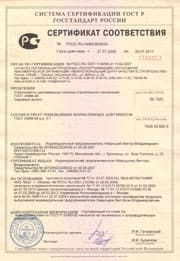 Scheme 2 - for imported products under long-term delivery contracts or stable deliveries of batch products under separate contracts with compulsory inspection control of the samples taken in the Russian Federation from imported batches. Scheme 3 - for the products manufactured in batches on a stable basis. Scheme 4 - if all-round and strict inspection control of batch products is necessary. Actual number of test samples is not sufficient for unbiased assessment of the manufactured products. Technological processes are sensitive to external factors. Rigid requirements are established for stability of the manufactured product characteristics. The effective time of product is shorter than that of organization and testing in the accredited test laboratory. Frequent change of the product modifications. The product can be tested after installation at the user's site. 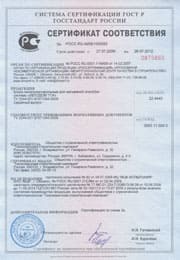 Scheme 9 - for GOST R certification of single small-size batch of imported high-quality products manufactured by the company renowned world-wide or in Russia, or for single items, single kit of products specifically intended for equipment of the Russian production or any other facilities, if submitted technical documentation gives a sufficient proof of product safety. 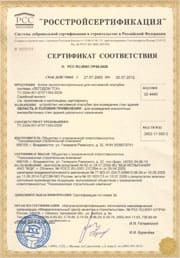 Scheme 9а is applicable for GOST R certification of domestic products, including the goods produced by properly registered individual businesses, if inspection control is not reasonable, and manufacturing process is not regular and depends on the market demand. Schemes 10 and 10а are advisable for long-term, but small-size production of domestic goods.